"You will only make this journey once. What kind of journey will it be?" Many things in life are uncertain, and it's often difficult for people to accept God's promises without having doubts. 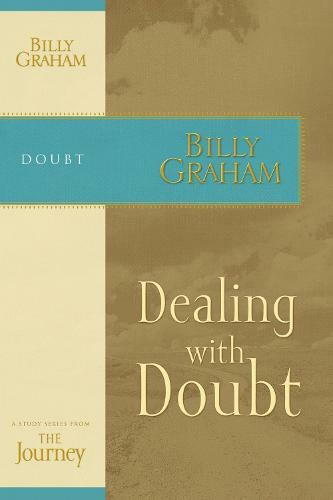 Doubts are a normal part of life, but Christians can know their awareness and faith in God will give them the ability to weather the storms and doubts they face on life's journey. Is it possible to really trust God to keep His promises? How can you know for sure that God really loves and cares for you? Dealing with Doubt shows how to have a personal, growing relationship with God, and shows how to find peace in Him, in our hearts, and with others. God will provide the strength we need. He isn't going anywhere. He is there every step of the journey. The Journey Study Series is based on Billy Graham's best-selling book The Journey, the culmination of a lifetime of spiritual insight and ministry experience. Each chapter explores the joys, triumphs, and conflicts we all encounter on our journey through life.Use for self-study or shared experience in small groupssix weeks of lessonssidebars offer a scriptural journey through God's wordquestions for starting group discussionsInsight-filled scripture passages to studyEach chapter includes thought-provoking questions, commentary, scriptures, and insights to help you on life's journey. Each lesson teaches the secret of walking with God on life's path. Understanding God's truths will make life's journey easier and let Him fulfill His promise to lead you home.